The fear and phobia of fireworks and thunderstorms is a very common problem in dogs, as well as in cats. The animal feels fear before a stimulus whose origin it cannot fathom, nor can escape. That causes stress, sometimes severe. Occasionally, it can become aggressive. 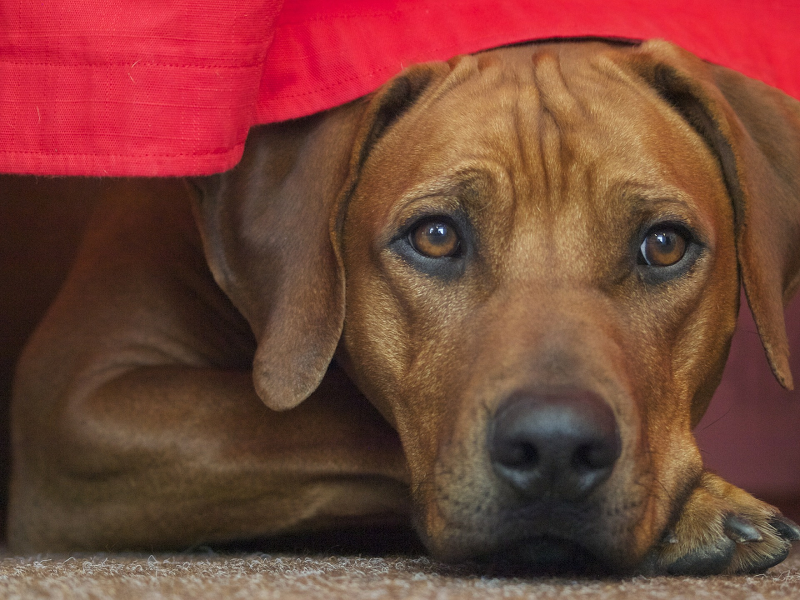 What can we do if our dog fears fireworks? Create a safe place: you need a place where the dog can hide when it feels the need to escape what, for him, is a real threat (fireworks). To that end, we can use an area the dog has already chosen (under the bed, in the bath), or create a new one. The area must be in a room as soundproof as possible, for example using cartons and covering them with blankets. 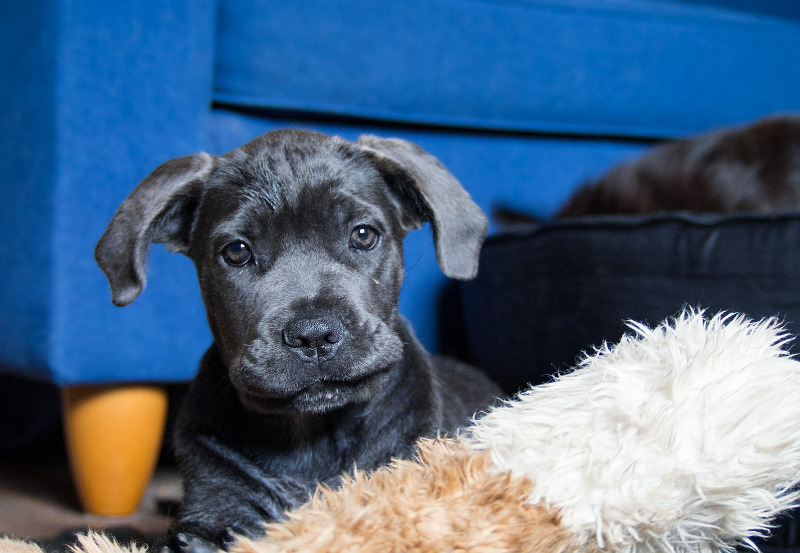 As soon as the area is chosen, we must accustom the dog progressively to being there, by giving him meals in the safe place, leaving there its toys, caressing it … The purpose is to make it a pleasant and safe space. Soundproof the area: we need to reduce the intensity of sounds as much as possible. To that end, we must close the windows, lower the blinds, and additionally we can switch on the TV or the radio to minimize the external noise. Do not reinforce unwanted behaviors: we must be a reference of calmness to our dog. Stay calm, without giving much importance to what is happening outside, so that our pet understands that if we are calm, it can be as well; there is no reason to worry. We have to act normally in face of the situation. The animal must not detect changes in our attitude, since this might make it more nervous. We can give it nutraceutics, and pheromones: these are compounds that, administered in advance, can help our dog be calmer when the day comes. Consult us if you want to use any of them. Medication: there are certain psychoactive drugs that can be used to reduce our dog’s stress the day of the fireworks. Medication must always be given under the supervision of a veterinarian specialized in behavior. In Veterinos we will be pleased to advise you on this matter. We must never punish our dog for expressing fear. We must never leave the dog in the garden, exposed without shelter to the fireworks (or thunderstorms). We must never to try to accustom our dog to fireworks abruptly. The results can be fatal.